The “Alligator” is a very interesting indicator of market direction and periods of no trend. Its main goal is to determine the trend direction and its strength. 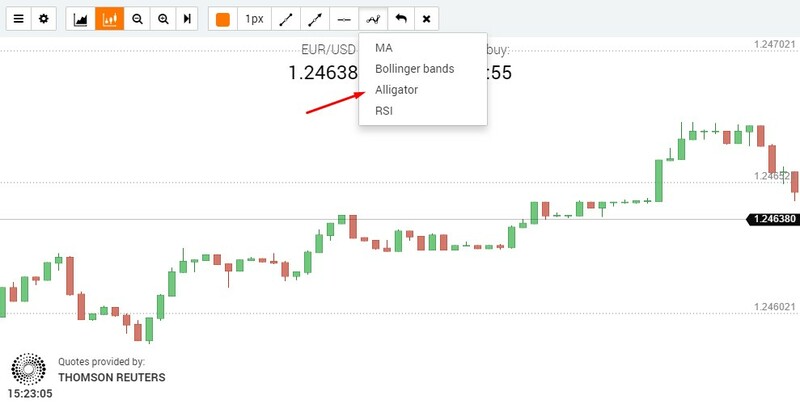 The main function of the Alligator is to determine the trends: whether it’s the bullish (buyers) or the bearish (sellers) dominating the market, which means that the indicator can be used for the trending periods in the market. 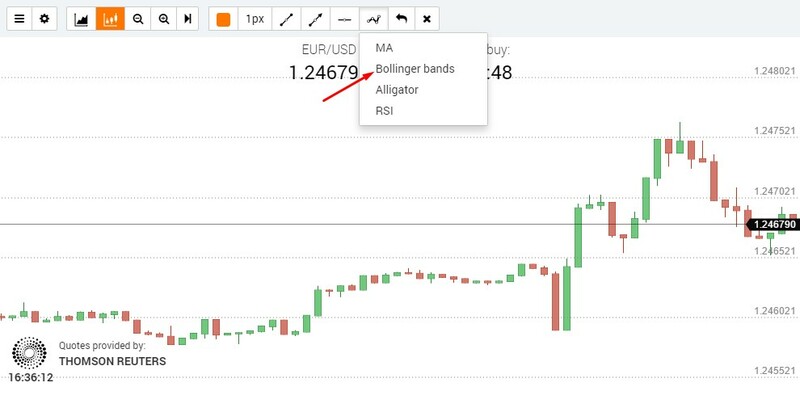 Select the ‘Alligator’ indicator from the list of indicators. The indicator was reflected in your chart and is ready to use. The mechanisms are pretty simple – the indicator represents a combination of three smooth Moving Averages indicating different time periods and moves. 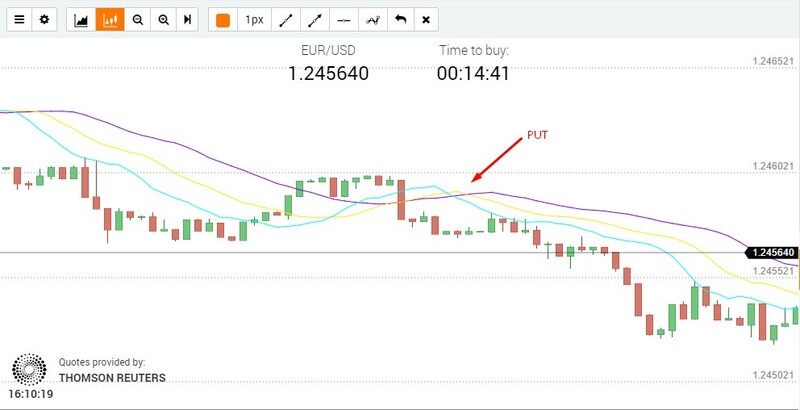 It is important that the Moving Averages are smooth rather than simple or belonging to any other type: they minimize the impact of the market noise and minor market fluctuations on the chart. Bill Williams called these Moving Averages the Balance Lines, as they show the price that would prevail in the market when no other factors intervene. Apply the Alligator indicator to the chart. You will see 3 lines of the Alligator’s “jaw”. The moment when the indicator lines are intertwined indicates that the Alligator is asleep. The longer it sleeps, the hungrier it becomes. This is a waiting period when the trading activity is inadvisable..
Once the Alligator wakes up it begins to “yawn”, thus opening its “jaw.” This is the right moment for entering the market. Opening the jaws up signals further growth and buying the call option. Opening the jaws down signals further decline and buying the put option. Having eaten enough, the Alligator starts to lose its interest in “food” and the indicator lines are intertwined again. This sends signal to end the trade and wait for the next signal. Important notice: Like any other method of technical analysis, the Alligator indicator may show delayed signals. False signals may also occur; therefore the Alligator requires maximum optimization, according to certain market conditions and certain assets. 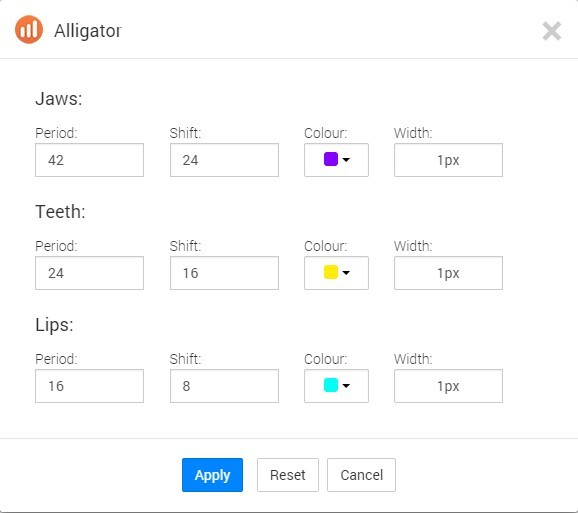 On increasing the number of periods, the Alligator becomes optimized for a more volatile market. The indicator will provide fewer, yet more accurate signals. 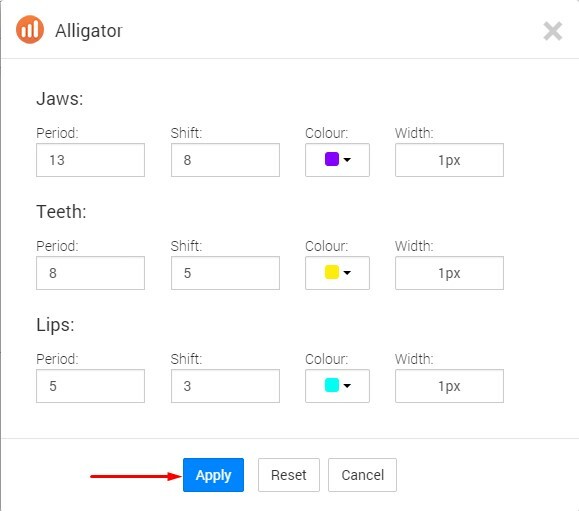 On decreasing the number of periods, the Alligator becomes optimized for the trending market. The indicator will provide more signals, but the accuracy will depend on the trend strength. 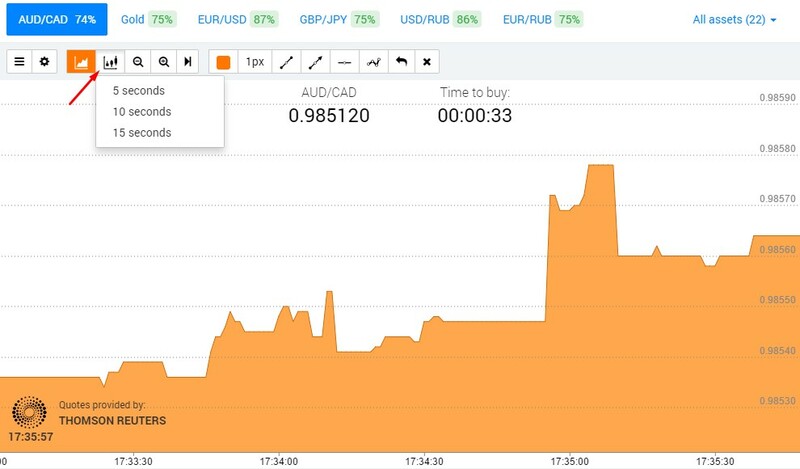 Previous articleBinary Option – how to trade?